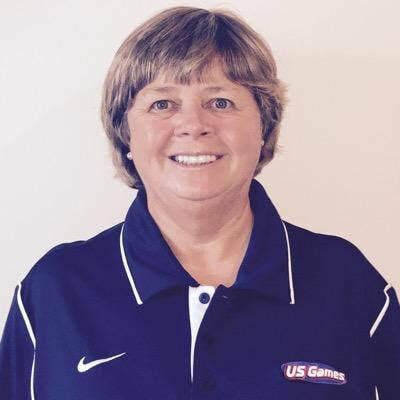 Charla is currently beginning her 5th year as a presenter for US Games and OPEN National Trainer. Charla has presented numerous state, district and national conventions and presented for NASPE Pipeline workshops 2009-2012. Charla was awarded the distinguished Artie Kamiya Horizon award, Region IV Female Coach of the Year Award and two State Championship titles with 28 years coaching. Charla assisted in receiving several grants in Wake County, which were used to facilitate a wellness environment for students and staff. An advocate and her specialty, is the Sport Education model. She feels the self, peer and teacher assessments of this model work well for secondary students. It is an all inclusive model in which students enjoy participation and are responsible for their own learning. Charla originally from Fairmont, NC married John Krahnke on June 14, 2013 in San Juan, Puerto Rico. They have resided at Ocean Isle Beach since her retirement June 2014. Charla will continue to present Physical Education workshops for school districts and state conventions nationwide. After 32 years, there is nothing Charla would rather be doing than teaching others Physical Education.